If you're nearing retirement or you recently retired, you probably have plenty of questions about Social Security retirement benefits. 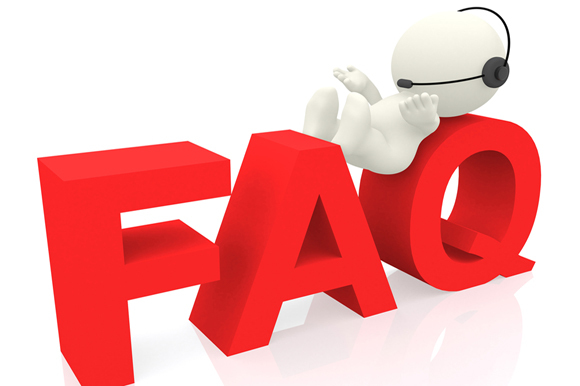 Here are answers to 10 common queries posted online by the Social Security Administration (SSA). Q1. How do I obtain a replacement Social Security card? A. You can get an original Social Security card or a replacement card if yours is lost or stolen for free. Generally, all you have to do is submit the request to the SSA online. However, in some states, you must show additional documentation. Visit the SSA website for more information. Q2. How do I change or correct my name on my Social Security number card? A. If you're legally changing your name because of marriage, divorce, court order, or for any other reason, promptly notify the SSA and obtain a corrected card. This service is also free. Simply follow the procedures for getting a replacement card. Q3. What are the ramifications if I receive Social Security retirement benefits while I'm still working? If you're under FRA for the entire year, you forfeit $1 in benefits for every $2 you earn that exceeds the annual limit. For 2017, that ceiling is $16,920. In the year in which you reach FRA, you forfeit $1 in benefits for every $3 earned above a separate limit, but only for what you earn before the month in which you reach FRA. For 2017, this limit is $44,880. Beginning with the month in which you reach FRA, you can receive benefits that won't be affected by whatever you may earn. Q4. What is my FRA? A. It depends on the year in which you were born. The FRA gradually increases from age 65 for those born in 1937 or earlier to age 67 for those born in 1960 and after. The FRA for Baby Boomers born between 1943 and 1954 is age 66. Q5. Can I collect benefits if I retire before my FRA? A. Yes. You can retire and apply for benefits as early as age 62, but your monthly benefits will be reduced by as much as 30% in that case. Q6. Are benefits increased if I wait to apply until after my FRA? A. Yes. You can receive increased monthly benefits by applying for Social Security after reaching FRA. The benefits may increase by as much as 32% if you wait until age 70. After age 70, there is no further increase. Visit the SSA website to figure out the exact amount of your "early" and "late" benefits. Q7. How do I apply for Social Security retirement benefits? A. You should apply for retirement benefits three months before you want your payments to start. The easiest and most convenient way to apply is to use the online application. Note that the SSA may request certain documents to verify your eligibility. Q8. How do I handle benefits for an incapacitated person? A. If your elderly parent or someone else who is entitled to receive Social Security benefits needs help in managing those benefits, contact your local Social Security office about becoming that person's representative payee. Then you assume the responsibility for disbursing the funds for that person's benefit. Q9. Who is entitled to receive Social Security survivors' benefits? A. A spouse and children, or both, of someone who has died may be in line for benefits based on that person's earnings record. Visit the SSA website for more details. Survivors must apply for this payment within two years of the date of death. Q10. Are Social Security benefits subject to tax? A. Yes, but not everyone is liable. You are taxed on Social Security benefits under a complex formula if your provisional income (PI) exceeds the thresholds within a two-tier system. PI is the total of (1) your adjusted gross income (AGI), (2) your tax-exempt interest income, and (3) one-half of the Social Security benefits you received. For a PI between $32,000 and $44,000 ($25,000 and $34,000 for single filers), you're taxed on the lesser of one-half of your benefits or 50% of the amount by which PI exceeds $32,000 ($25,000 for single filers). For a PI exceeding $44,000 ($34,000 for single filers), you're taxed on 85% of the amount by which PI exceeds $44,000 ($34,000 for single filers) plus the lesser of the amount determined under the first tier or $6,000 ($4,500 for single filers). In many cases, these answers will lead to even more questions. The SSA website is helpful, but you may need additional guidance for your personal situation. Don't hesitate to contact us for assistance.